Designed for maximum creativity, Nautique’s modern studio reflects a changing attitude toward new product development. I-JET could be any Silicon Valley startup. The unusual angles of the ochre and light green-colored walls, the high ceilings and tall windows, a bicycle casually leaning against the wall. There are a dozen young people at the long tables beside the large windows, graduate students from the United States, India, and China. They are working on computers, playing soft music, surfing the Web. A stainless steering wheel for a boat sits on a pedestal in the center of the lab under a Boston Whaler banner. 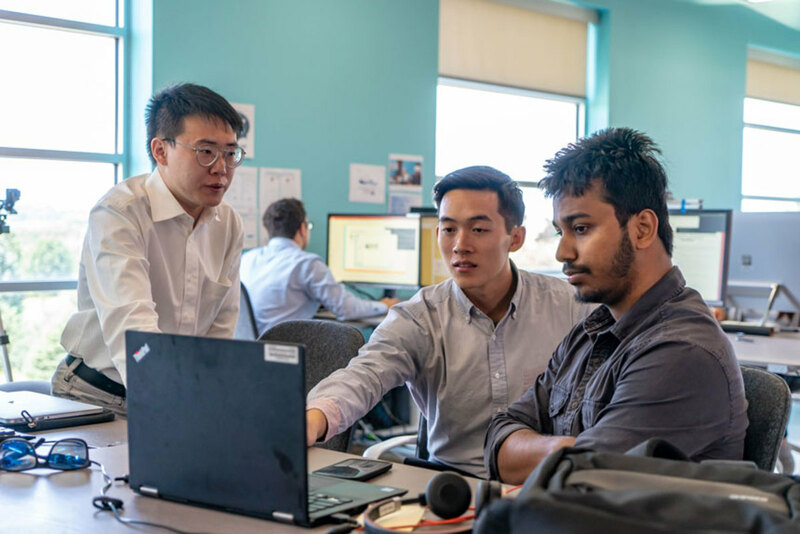 In a glassed-in office, three students — a data analyst, a software engineer and an MBA student — are going over a project. A poster with the terms AR/VR, AI, Telematics, Automated Boats, and a dozen other emerging technologies outlines the lab’s mission. Welcome to Brunswick’s I-JET Lab, which is not in San Jose, Mountain View or Palo Alto, but in the Midwestern heartland at the University of Illinois at Urbana-Champaign. 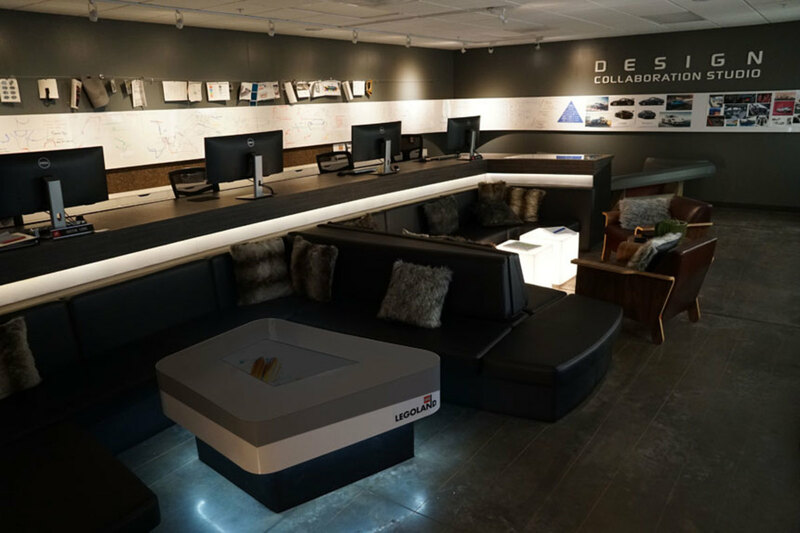 Hundreds of miles from its suburban-Chicago headquarters, Brunswick established the boating industry’s first innovation center in a special section of the campus, near 100 other corporations doing the same thing. It’s not the only organization dedicating serious resources to innovation — Correct Craft has a similar project in the works, and European companies such as Groupe Beneteau and Volvo Penta have cross-discipline teams working on new technologies. But I-JET has moved ahead of the others by creating an independent space for studying technologies that could eventually be applied to boats. The multi-million-dollar lab came about in a circuitous way, three years after a group of managers and executives at Brunswick’s boat, motor and engine companies visited each other’s facilities in the U.S. and Europe to explore emerging technologies. Eventually, Brunswick decided to establish an innovation center that would study emerging technologies on its own. It would serve as a focal point for doing research and specific projects for the Brunswick companies but also retain its independence as an incubator. Kollmann says that the work I-JET (which stands for Illinis Joint Explorations in Technology) is doing will solve the “pain points” of boating — in other words, focusing on areas that will make boating more seamless and stress-free. The I-JET project is one of several ways Brunswick is tapping into emerging technologies and the start-up world. Brunswick also has a joint venture with TecNexus, a company that invests in startups working on technologies that Brunswick may eventually incorporate into its products. I-JET’s Kollmann and his young, smart and multicultural staff want to change the way people boat. The list of fields on the I-JET poster is wide-ranging, but typically the lab focuses on two or three projects at a time. Last year, it developed an augmented-reality version of the Boston Whaler Montauk. It allows viewers to slip on a pair of special goggles and look around at a full-sized Montauk that isn’t really there. A potential buyer can even lift the hatches on the forward stowage locker. It was introduced at last year’s Whaler dealer meeting as a potential marketing tool for dealers. Brunswick is investing in new features to make the app go beyond its current functions of monitoring a boat’s battery, bilge pumps, engines and position. Telematics will help predict engine failures before they happen. Nautic-On is the first graduate of Brunswick’s efforts to turn an emerging technology into a profitable business. Located in downtown Chicago in a small, cramped office called the “Loop Lab,” Nautic-On has a small staff of tech-savvy young people. Spartan and no-frills, it’s a far cry from Brunswick’s new corporate headquarters out in Mettawa, or even the stylized I-JET lab, which Kollmann designed from scratch. Nautic-On looks like a real, cash-starved startup. Nautic-On is a client of I-JET, which helped to develop its app. Instead of being the Good Housekeeping Laboratory for Brunswick, I-JET is just one center of innovation among many that include the TechNexus startups and the steering committee that extends across all Brunswick companies. All are working toward innovation in different areas, sometimes pursuing research that goes nowhere. Situational awareness and object recognition have become big research areas for Brunswick as it explores new technologies for easier docking. The company has also partnered with MIT on an autonomous boat project. Correct Craft is moving on a similar track with its Watershed Innovations. Like I-JET, Watershed will operate independently from its parent and the other companies in the group. Watershed will retain a small executive staff, but most of its work will be done by senior and graduate engineering students from the University of Central Florida. 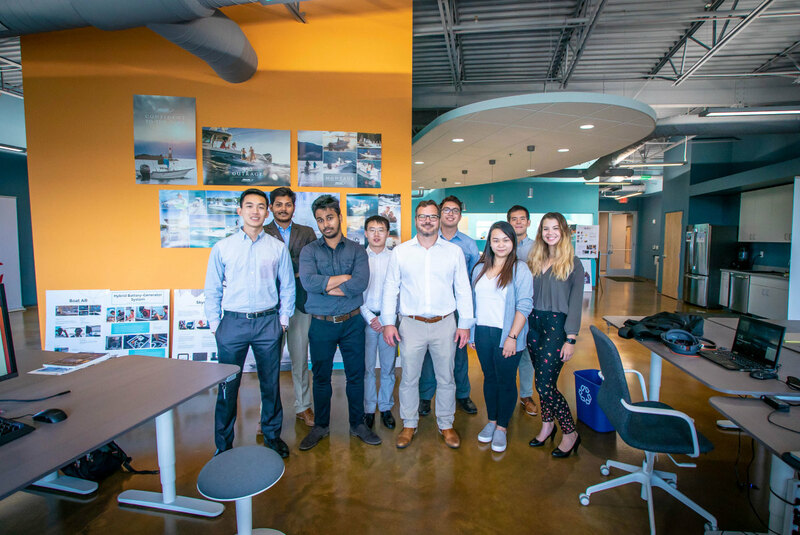 The lab will focus on electric boats, artificial intelligence, proprietary software, telematics, augmented reality and advanced building processes. Correct Craft has become a company that embraces innovation. Its Nautique Design Studio is ultra-modern, set up for creating cutting-edge boats. The builder’s 2019 Ski Nautique has been lauded as a breakthrough design, with its carbon-fiber hull and advanced electronics. Two of the industry’s largest players in Europe have also formalized innovation within their own companies. Volvo Penta’s mantra “Easy Boating” is, like Brunswick’s pain-point solutions, aimed at using technology to make boating less stressful. Last summer, I was on a boat in Gothenburg, Sweden, that backed on its own into a slip without a captain, despite currents. Volvo Penta is part of the 100,000-employee Volvo Group, with divisions that include trucks, buses, construction equipment and industrial applications. Part of Lundqvist’s job is to use solutions that its other divisions have developed and apply it to marine projects. Its recently announced hybrid electric-diesel IPS engine, which will appear in 2022, has been developed using technology borrowed from its fleet of electric buses. “We have access to what is currently in production across our product line, as well as what is under development,” Lundqvist says. Hanna Ljungqvist, vice president of new business at Volvo Penta, says innovation is driven from a business perspective. “We calculate what kind of value it has for our customers and the company before it gets near development,” she says. Groupe Beneteau, the world’s largest boatbuilder, also equates innovation with its future. Chief executive Hervé Gastinel says the group doesn’t have a formal innovation center, but the members of its Innovation Committee meet regularly to discuss new projects. Beneteau also partners with universities in France, Poland and the United States to develop emerging technologies for its boats.